This lot must be worth more than a field of BMWs! I wouldn’t normally plug a magazine article, but Which Motorhome has managed to gather what must be one of the largest ever group tests of panel van conversion motorhomes. Which Motorhome’s review covered 15 popular high-top campervans, all based on the six-metre, long-wheelbase Sevel (Fiat/Peugeot/Citroën) panel van. Vans were tested from UK and European converters, including Autocruise (Accent and Rhythm), Auto-Sleepers (Kemerton and Windrush), as well as Devon, Horizons, Murvi, Shire, Vantage and WildAx. From the other side of the channel, the latest van conversions from Adria, Globecar, Pilote, Rapido and Tribute were also included. Anyone who has ever considered buying one of these conversions knows how expensive they are — usually far more so than equivalent coach-built models, due to the more complex and bespoke construction techniques that are required. The motorhomes tested include all the main layouts — front lounges, rear lounges and fixed beds — and prices range from £35k to nearly £60k. Which Motorhome says that their experienced road-testers found a surprising variation between the vans (as you’d expect!). 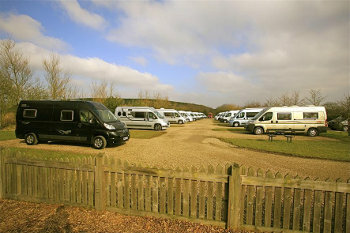 The results of this test, along with the winner are published in the June issue of Which Motorhome, on sale on 9th May. Might be worth a look if you are thinking of buying or converting a new van in the near future.